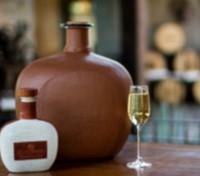 Taste tequilas and uncover the blending experience in the heart of Tequila. Visit local markets and get fresh ingredients with professional chefs for interactive cooking classes. Experience the pyramids of Teotihuacan on a hot air balloon. Wine tasting at Rivero Gonzalez in Mexico City. Fine selection of premium accommodations. Mexico’s wine scene has been attracting attention in the last few years and this is your chance to sample some of the finest tipples that the country has to offer. Rivero Gonzalez is a renowned family-owned winery in Coahuila, Northern Mexico. Their shop, in the exclusive neighborhood of Polanco, Mexico City, has a specially designed tasting room, where you will sample three different wines with a top-class sommelier. As you sniff, swish and gurgle you will learn about Mexico’s wine-growing history and get a glimpse into its very promising future. At the end of the tour, you will be transferred back to your hotel. 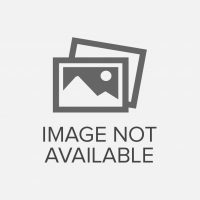 Note: Rivero Gonzalez is open from Monday to Thursday regularly, however, visits during weekends are subject to confirmation. Designed by renowned architect Cesar Pelli and completed in 2009, The St. Regis Mexico City rises 31-stories above the historic Paseo de la Reforma, a famed boulevard running through the heart of Mexico City. Continuing an enduring legacy of uncompromising luxury highlighted by services including its signature bespoke butler service, The St. Regis Mexico City pampers guests while honoring its New York origins. The first St. Regis hotel built in a major city in Latin America, the property is just steps away from the Museum of Modern Art, Chapultepec Castle, the Museum of Anthropology, and is found at the intersection between the Polanco and La Condesa districts. 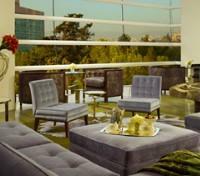 The ideal host for guests wishing to experience the heart of Mexico City in luxury, the St. Regis Mexico City offers a range of rooms and suites, and features eight on-site cafes, bars and restaurants. Today you will participate in a cultural and culinary experience, accompanied by two locally renowned cooks, in the heart of one of Mexico City´s most artistic and dynamic neighborhoods – La Roma. The day begins in the morning next to the Medellin market where you will taste authentic Mexican tortillas made with traditional Nixtamal dough and learn how this vitamin rich food has passed the test of time throughout Mesoamerica. Afterwards, you will walk through the market to discover the colors, aromas and deep-rooted tradition throughout. With a shopping bag in tow, you will speak with local merchants, taste spices, cheeses, ice cream, single origin coffee from Chiapas, and much more. After tasting and selecting the best fresh ingredients for your menu, you will enjoy a short walk to Casa Jacaranda, a beautifully restored mansion where your hands-on cooking lesson will take place. Generations-old culinary secrets and techniques are shared during this interactive gathering while you chop, grill, marinate and steam to create a three-course menu with sauces and garnishes. Once completed, you will enjoy your creations, complimented by paired Mexican wine and a tasting of craft Mezcal from Oaxaca. Upon completion, you will be driven back to your hotel for the rest of the evening at leisure. Before sunrise today, you will meet your guide and vehicle outside your hotel lobby for a unique and magnificent adventure. Please have your luggage prepared, as you will be carrying onward to San Miguel de Allende following your hot air balloon ride and cave exploration. 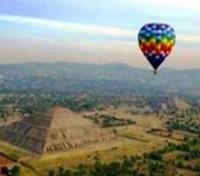 Your first experience will be to sail over ancient pyramids in the first hours of the morning by hot air balloon. Once on land, your expert guide will lead you on an exploration of Teotihuacan archaeological site, which in Nahuatl means ‘the birthplace of the gods’. You will also have the opportunity to climb the 214 foot tall Pyramid of the Sun and/or the 141 foot high Pyramid of the Moon, where stunning views of the city and valley of Teotihuacán can be found. After visiting the archaeological site, feel embraced by the Mother Earth inside a natural cave that has been carved over the centuries by an ancient river. Learn the importance of this enigmatic and sacred place while you enjoy a champagne reception and gourmet pre-Hispanic canapes. Your guide will paint a picture of a bygone era and the dualism of light and dark, still prevalent in today´s Mexican culture. 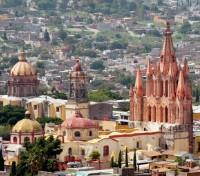 Your adventure now continues northwards towards San Miguel de Allende. This private transfer will begin at noon and will take approximately three hours. 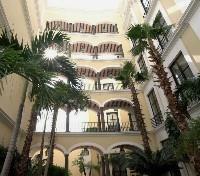 Upon arrival, you will settle into your lovely hotel and enjoy rest of evening at leisure. In an enchanting artists’ village nestled in the mountains, the luxury boutique hotel of Rosewood San Miguel de Allende® has risen among the handsome colonial villas, cobblestone lanes and church spires of central Mexico’s oldest town. Cradled within the historical heart of downtown, this resort sanctuary presents 67 beautifully appointed accommodations, a Rosewood Spa®, signature restaurants, a rooftop lounge, and an outdoor amphitheater. All 67 rooms and suites at Rosewood San Miguel De Allende Hotel offer spacious living areas, wood-beamed ceilings and furnishings of the finest Mexican craftsmanship. 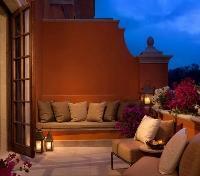 Ground-level rooms and suites are graced with a private terrace and garden while accommodations on the second and third floors offer private balconies with views of San Miguel de Allende's El Centro, the resort's lush gardens and/or the sparkling pools. After enjoying breakfast, your personal expert guide will meet you in the hotel lobby for a walking city tour of the colorful historic center of San Miguel de Allende. You will visit the most important attractions including the famous Parroquia de San Miguel Arcángel, designed by the local stonemason Zeferino Gutierrez from a postcard depicting a Belgian Church. You will also learn how the history and lore of San Miguel are intertwined with the Mexican Independence Movement. At noon, your guide will drive you just outside of central San Miguel de Allende for a visit to the Dos Buhos Vineyard. Upon arrival, you will be welcomed with a glass of cold sangria (or bottle of Sentia water) to begin your private guided tour of the vineyards and the wine-making facilities before enjoying a deluxe wine pairing of five wines. 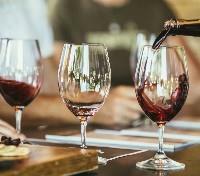 You will sample the wines with a gourmet meal that includes a cheese platter with baguettes, homemade marmalade's, Quiche Lorraine, a salad, prosciutto, cold cut meats, a gourmet chocolate chip cookie and chocolates. After your tour and picnic lunch at the vineyard, you will be driven back to San Miguel de Allende by your private guide and tour the nearby Botanical Gardens. This large nature reserve is home to a varied collection of cacti and other Mexican plants, many of which are rare and endangered, and you will learn about this diverse flora while exploring at your own pace. Upon completion of this excursion, your guide will drop you off at your hotel to enjoy the rest of your evening at leisure. Today’s private cooking class focuses on recipes that can be recreated at home. This cooking class takes place about 10 minutes walking distance from the Hotel Rosewood. 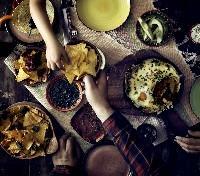 You will learn about Mexican cuisine while visiting the local market with the chef and sourcing the ingredients that you will cook with later. The chef will teach you how to find the freshest and best produce and will help you to identify some local fruits and vegetables. 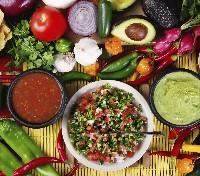 Returning to the kitchen you will be given step-by-step instructions on how to make salsas and salads that can be enjoyed with hand-made tortillas. This morning, you will be met by your guide, versed in Colonial Mexican history, in the hotel lobby for a private transfer to Tequila. Doubling as your driver, your guide will provide insights into the region as you make your way toward Tequila. 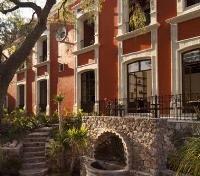 En route, after roughly four hours, you will make a stop in Tlaquepaque for lunch (not included). Experience the unique Mexican flavor and local culture in this famed artisans town that is widely regarded as being host to the best handicrafts in the state of Jalisco. Afterward, your journey continues for an additional 50 minutes to reach Tequila, where you will be dropped off at your hotel. 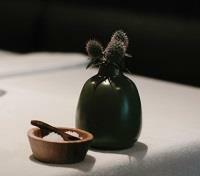 On arrival you will take part in a sampling of the Maestro Tequilero range: white, rested and aged tequilas. During this one-hour private experience you will discover for yourself how it feels to be a master tequilero! Learn how to combine the different flavor and scents. Supervised by an expert in the art of blending, you will experiment with five combinations to produce your perfect blend and take home a “damajuana” of tequila that is perfectly suited to your taste, as a souvenir. 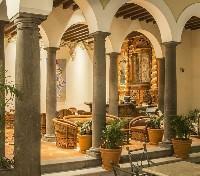 The Hotel Solar de las Ánimas is set alongside the church of St. James the Apostle (“Santiago Apostol”) right in the heart of the town of Tequila, nestling at the foot of the great volcano. It's a perfect location for guests to explore and enjoy all the attractions and tours of the area, as well as to experience day-to-day life in this Pueblo Mágico – one of Mexico's famed “magical towns”. The Hotel design is based on a Creole colonial house and is typical of Mexican architecture from the seventeenth and eighteenth centuries. It boasts 93 unique rooms where state-of-the-art technology and comfort blend in perfect harmony to offer each guest an authentic and personalized experience of this charming town with over two centuries of history and tradition. Today after an early breakfast, your Tequila-based expert guide will be waiting for you at your hotel lobby for an exclusive tour of the Mexican Magic Town of Tequila. Prepare yourself to learn all about the fascinating and world-renowned “Spirit of Jalisco”, the authentic Tequila! 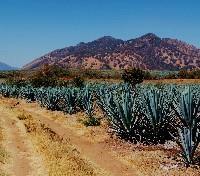 Your experience begins with an “agave orientation” in real agave fields. Participate in the agave harvest with real Jimadores, followed by a private tour and tastings at Tequila Fortaleza, which utilizes the most traditional tequila-making process in the industry by employing practices from the fifth-generation Sauza dynasty. For lunch, enjoy a unique opportunity to experience the local culture and cuisine with a Jaliscan lunch at the Municipal Market in Tequila. After lunch, your journey continues with a private visit to La Tequileña, a modern boutique distillery operated by the legendary Fonseca Family. Experience the differences of a more modern distillation process and taste exquisite anejo and extra-anejo tequilas owned by Enrique Fonseca, widely regarded as the most brilliant barrel blender in the industry. Labels include Fuenteseca, Pura Sangre, Zapata, Tequila Cimarron and Xalixco (among others). Later this afternoon, enjoy a guided walking tour of Tequila’s historic center, including the world famous Cantina La Capilla. After your tour, you will enjoy the rest of your evening at leisure. 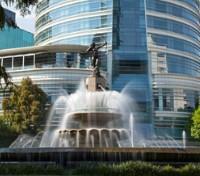 Private Airport transfer with English speaking guide from Tequila to Guadalajara Airport.